These are worth every bit of the effort and then some. I have to thank the Pioneer Woman for sharing her incredible recipe for these cinnamon buns. I took the photos of these after they sat out all night so you can't tell how much glaze is on them as they soaked up all the tasty maple coffee glaze. Really, I don't know why I am talking because you should stop reading and go make these, or find somebody to make them for you. Of course Ellen made them with me. Well to tell you the truth she mostly made them. She made the dough before coming over and I just helped to roll it out and cover it in butter, cinnamon, sugar, and tasty glaze. 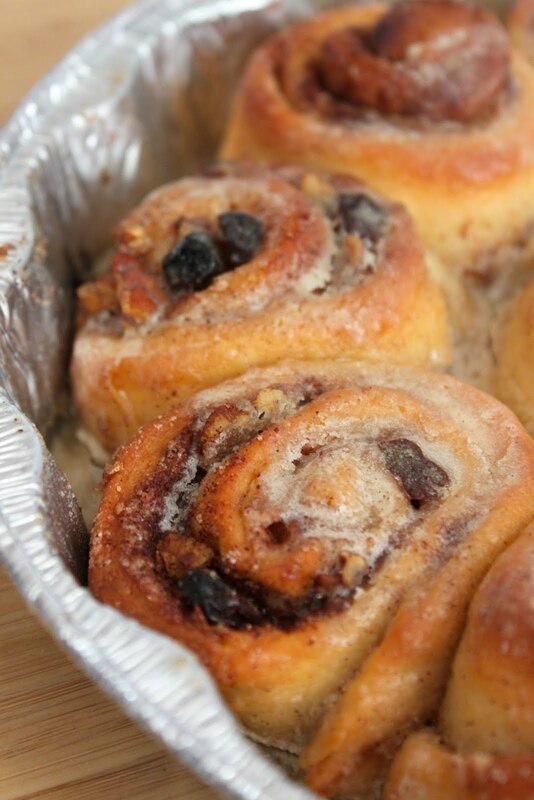 We split the dough in half to make these and added raisins and pecans to half. We also sprinkled some cinnamon on the counter a long with flour when we rolled out the dough to give them some extra cinnamon. I preferred the hald without the raisins and pecans, but Ellen preferred the half with them. We made 7, yes 7 pans of cinnamon buns so unless you have room in your freezer or are feeding an army, you may want to reduce the recipe. 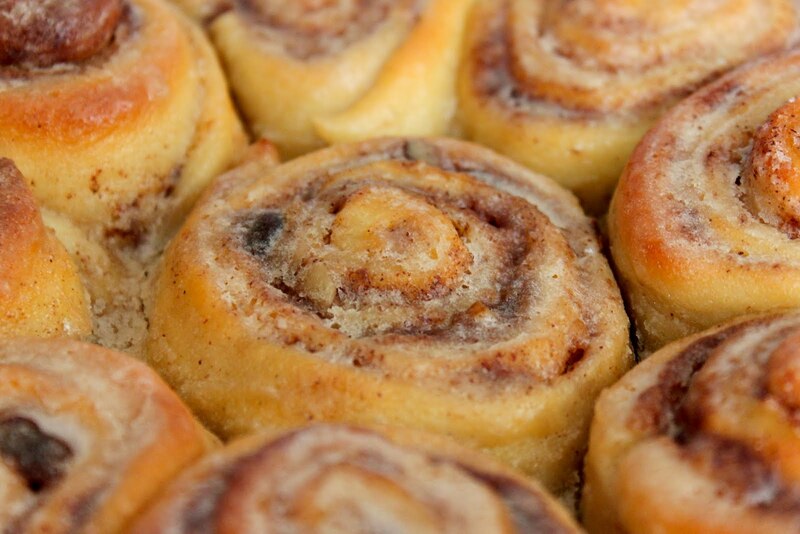 Now get in the kitchen and make these ASAP! When ready to prepare rolls: Sprinkle rolling surface generously with flour and add a little cinnamon. Take half the dough and form a rough rectangle. Then roll the dough thin, maintaining a general rectangular shape. Drizzle 1/2 to 1 cup melted butter over the dough. Now sprinkle 1 cup of sugar over the butter followed by a generous sprinkling of cinnamon.